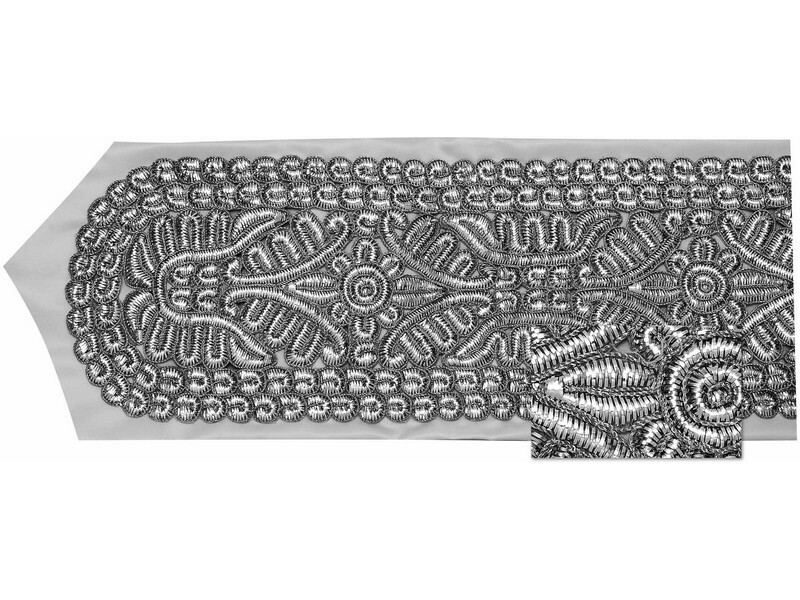 This silver plated, woven design atarah will enhance any tallit with its glamorous look. The woven style, referred to in Yiddish as “Gefluchtene Atarah”, is worn by many as it is a traditional style. This silver plated atarah is fashioned to replicate the sterling silver atarah, with a border around different artistic baroque style inspired designs. Please select the desired width in inches from the drop down selection.